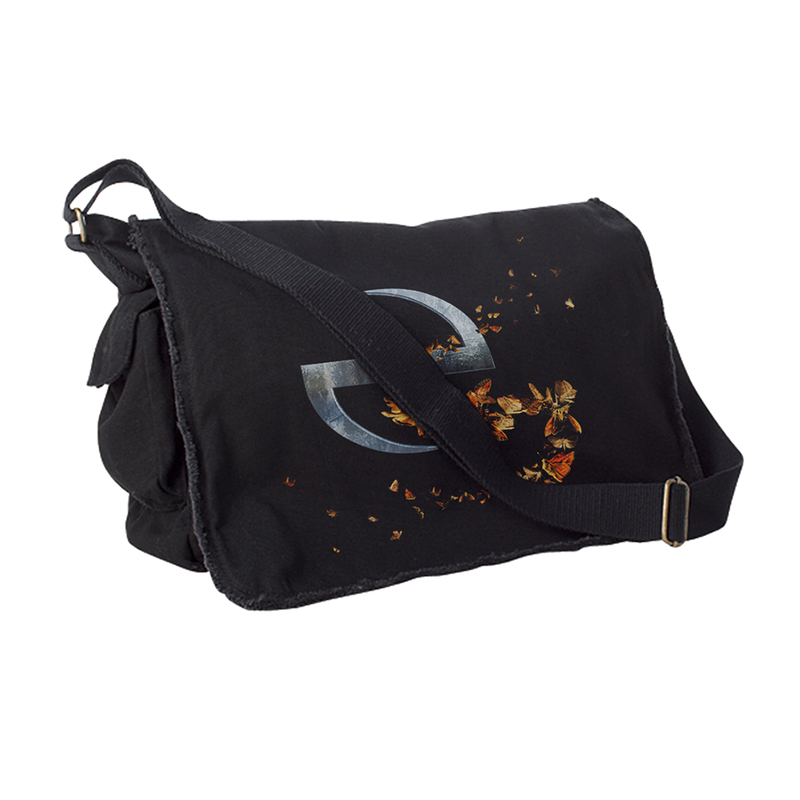 Black messenger bag with large Synthesis artwork on the fron flap. I love this Synthesis messenger bag!!!!! I saw the Synthesis show twice and met the band both times! (They are all so cool!!!) The show was magical and meeting Amy and the band was a dream come true! When I saw this bag I had to have it! It is an awesome reminder of the amazing show! It's bigger than I thought it would be and looks way better in person!!! !